Dell Latitude 12" 5289 2-in-1 Case The DropTech case for Dell Latitude 12" 5289 is a rugged and reliable long-term solution that protects your laptop from impacts, falls and bad luck. The low-profile and easy-to-apply design fully integrates with the kickstand, ports, and keyboard. 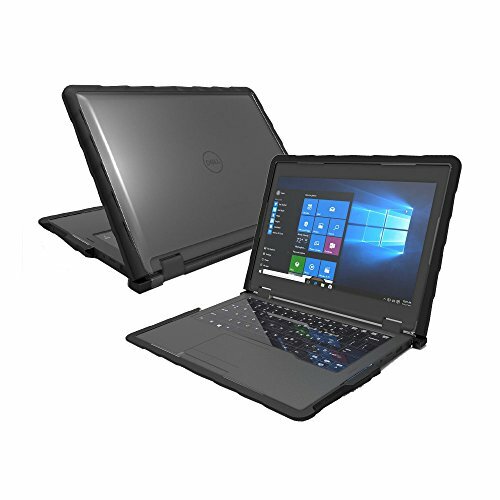 The rugged DropTech case is designed to provide your Dell Latitude 12" 5289 2-in-1 with serious drop protection from drops, bumps, spills and other everyday accidents and mishaps. Once you wrap your Dell 5289 in this durable case you can forget worrying about what you're going to do if you drop and break your device. View More In Hard Drive Bags & Cases. If you have any questions about this product by Gumdrop Cases, contact us by completing and submitting the form below. If you are looking for a specif part number, please include it with your message.